When you think of kitchen remodeling in Jacksonville Fl or in the surrounding area. Look no further that Jacksonville Remodeler. We make your kitchen remodel easier by helping you every step of the way. A kitchen is the heart of your home and the center of activity, so much goes on there. Most of the time including social time, family time, and meal time is spent in the kitchen thus making it the hub of more than 50% of your domestic activities. We welcome you to contact our kitchen remodel team in Jacksonville, FL. We are innovative and efficient in our kitchen renovation, and we will transform your ugly linoleum and faded paper into a functional and elegant room that you and your family can truly enjoy. Our team of technicians will help you get rid of old appliances, dated cabinets, and your inefficient layout. After that, our design experts will remodel and modernize your kitchen with some of the latest trends in the industry including quartz countertops, wine coolers, induction cooking among others. Many of the clients we have serviced in the past have written to us thanking us for making their lives smoother and homes more efficient. ​We guarantee a perfect blend of function and design for your Jacksonville kitchen remodel. Not every homeowner in Jacksonville fully understands what he or she is after as far as the kitchen style is concerned. Some of them come with a few ideas on how they want their kitchen planned, but often they are open to input, and that is where we really get to shine. Our design team loves to help you customize your kitchen plan so as to fit your family lifestyle. For instance, if your family is full of kids, you will need ample space both for the kids to sit while doing their homework as well as for food storage. Depending on your unique situation, we can build a walk-in pantry to help you organize your food storage and a counter bar for the family to work on projects and talk about the day. Our design staff’s passion is to make your dream kitchen a reality. On the other hand, if you are empty nesters, and you want your kitchen remodeled, we may suggest the addition of an open storage to accommodate your needs and perhaps a second sink for your vegetables. Analysis of the existing space – We shall take the measurements of your current kitchen. These measurements, allow us to obtain an accurate idea of the current layout’s dimensions. Goal setting – Together with you, our professional kitchen remodeling team will decide on the features to be included in your new kitchen including the decorative and organization elements. Idea collection – We look at photos of kitchen setups we consider perfect for inspiration. We don’t think that reinventing the wheel is the right approach but rather looking at what others have done and improving on it. ​Since kitchen remodeling takes time, as part of the planning process, we would also like to organize how you shall be operating without disrupting the ongoing works in your kitchen. ​After you have made the decision on the general kitchen layout, the next step is to consider and choose the components that will go into your kitchen. The selection phase also happens to be the stage that has the most expenditure, and as such, it should be done with the expertise and finesse required. ​Countertops are one of the main focal points of your kitchen. There is the option of a stone countertop versus a laminated one. The former is costlier compared to the latter, but it adds value and beauty to your renovation. The countertop dictates the designing of the rest of the kitchen as far as cabinetry, furniture, and color scheme. If you decide to go with granite countertops, there are various assorted grades of this material rated according to the manufacturer. Laminate products also mimic granite and can be a cost-saving material and with the qualities available today, let’s just say these are not the laminates your grandmother placed in her kitchen. ​When choosing cabinetry, we go for soft close drawers and doors that combine both luxury and functionality. In base cabinets, we prefer drawers because they provide better storage access and are more ergonomic. Depending on your budget, we can go for veneered cabinets or solid wood with its luxurious looks and durability. The cabinet shelving and sides are constructed from plywood as opposed to particle board. This is because plywood is marketable in the case of a resale and helps in keeping the cabinets strong as well as beautiful. ​Ceramic tile is an excellent choice for backsplashes. However, porcelain is often preferred because it is resistant to cracking and chipping. If your priority is on cutting costs and getting the longest service from your backsplashes, porcelain tiles are the best for you. The size and pattern of tiles are imperative when sizing up your budget. Large tiles are the best for flooring as they give your Jacksonville kitchen an updated look and during installation, they require fewer cuts and grout lines. ​During remodeling, we install new faucets and sinks either at the same location they were before or in a different position. As professionals, we know the best sink materials for Jacksonville. ​Before installing the sinks, we ask our customers whether they prefer features such as sprayers, extensions, and soap dispensers. These additions may make the sink a bit more expensive, but to the right party, they may be a deal breaker if left out. ​The kitchen floor captures attention whenever you get into the kitchen. This is why you need to choose a type of flooring that is both aesthetically pleasing and functional. Because of the nature of the kitchen environment and the frequent spillages that occur, we steer clear of carpeting when considering kitchen flooring. Laminate flooring and hardwood floors are among the common and economical choices. We also explore linoleum ceramic tiles and even stone if that's what you want in a bid to find a flooring type that matches the class and design of your home. Kitchen lighting can cover up for a lot of limitations. We do a combination of recessed and track lighting among other options. Our primary goal is to make your kitchen look cozy, elegant, and roomy. We install switches in intuitive places so as to make it easier for you to get around in the kitchen. The size of the kitchen will also help us determine the type of lighting that we should install. For instance, small kitchens go well with a central ceiling fixture while elaborate kitchens will require a blend of general accent and task lighting. General lighting can be in the form of a decorative chandelier or recessed lighting. Where we decide to use lights, we often will discuss utilizing semi-transparent glass shades because these are much easier to clean. Under cabinet lighting is also great because it easily illuminates your countertops. Recessed down lights over the sink ensure even illumination and ample task lighting for the kitchen activities. Appliances are the most used features in your kitchen, and this is why we look for energy efficient appliances that have warranties. We always strike a balance between the expenditure on cabinets and appliances. As a matter of fact, our specialists consider appliances, together with countertops, cabinets, and hardware and allocate the budget proportionately. Your specific needs will be the guiding system in our choice of appliances. For instance, families with children and a great deal of dishes to do every night; require quality dishwashers as part of the appliances. Stainless steel is still the favorite material for appliances because the kitchen is generally a wet and moist area which means rust is always lurking in the background. When remodeling a kitchen, our specialists think ahead. We include an island counter because we believe in modern kitchens; this is a focal point around which people gather. There is a multitude of functions for which island counters play a vital role in your home hence the reason why they should be included and made accessible from all sides. If your house doesn’t have much space, we may double up your island counters as working countertops and informal dining areas. The kinds of materials we use when remodeling your island counters depend on the use into which you will put the island. ​For instance, if you want to cook on these counters, we intentionally use heat resistant materials to enable the counters to withstand the heat from crockpots, steamers, and rice cookers. The island countertop may either be made of granite or concrete depending on your purpose and preference. ​We design breakfast bars to be of the same height with your kitchen island counter or when instructed, slightly raised up a few inches so as to block the view of your kitchen clutter including the dishes, appliances, and sink. The positioning of the breakfast bars is such that they do not affect or disrupt the traffic patterns of the work triangle in the kitchen. As a rule thumb, we usually provide between 24 and 30 inches of elbow room per diner. ​Because kitchen fixtures are regularly used in the house, their quality significantly impacts the day to day tasks in such a big way. The choice of material for fixtures is an important decision that we always take the time with so that we give you a quality finished product. For instance, if you want an all-white kitchen, we can do a cast iron or white fireclay sink. Both of these are extremely durable and still complement your kitchen. For texture and color, we recommend granite quartz copper or natural stone. The choice of the fixture is in line with the customization of your kitchen, and this means every installed fixture will have to will have to fall in line with the rest of the kitchen features. ​The decision on how much to spend on kitchen remodeling is still an area that homeowners can’t quite their heads around. Whenever we discuss any kitchen remodeling project in Jacksonville, we also take the time to advise owners on the best way to structure their budget to achieve their goals. The best approach to determine your remodeling budget is to do it as a percentage of the home value. From experience, kitchen remodeling should not cost above 20% of the market value of the home. However, we also advise homeowners to set a buffer equivalent to about 20% of their budget for contingency purposes. This helps all of us to take care of things that may unfold midway through the project, such as change of designs or materials. ​If you are in need of a kitchen remodeling contractor in Jacksonville who has the experience, expertise, and creativity to deliver great results, look no further than our locally owned and managed company. We have been in the kitchen remodeling and interior décor industry for many years and have witnessed homes being transformed, thanks to our skilled designers and technicians. One thing we can assure you is that we do not guess, but rather do the job right the first time. Between us, we have decades of experience combined with unmatched expertise in kitchen remodeling. We are insured and licensed which means we have taken full responsibility for whatever incident that may happen in the course of the remodel. Also, we ensure that our crews are regularly trained to keep them up to speed with the industry developments. 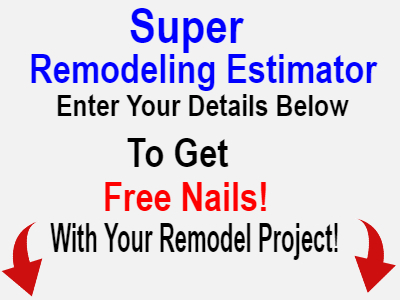 The remodeling service we offer is fully guaranteed because we trust our work. Following the completion of a project, we give homeowners in Jacksonville several months to experience the quality of our work. If any problem related to our work occurs during that period, we take full responsibility to redo whatever section it is at no cost to them. 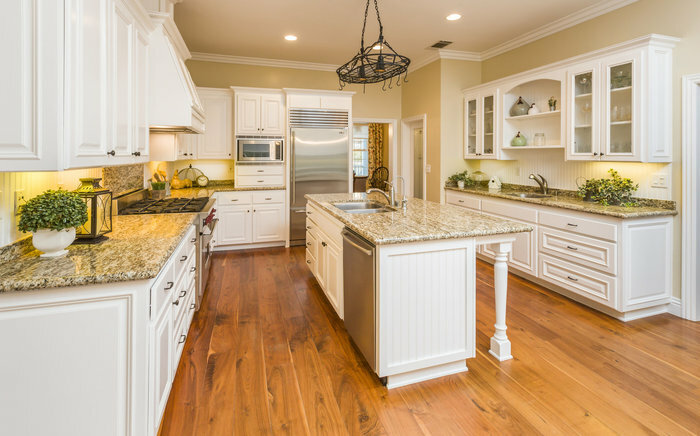 As a locally owned and operated company, we are acutely aware of the responsibility on our shoulders to deliver customized kitchen remodeling solutions to homeowners in Jacksonville. To us, you are family, and as such we welcome you to get in touch with us. We are ready to tackle any remodeling project or answer any questions you may have regarding kitchen remodeling.